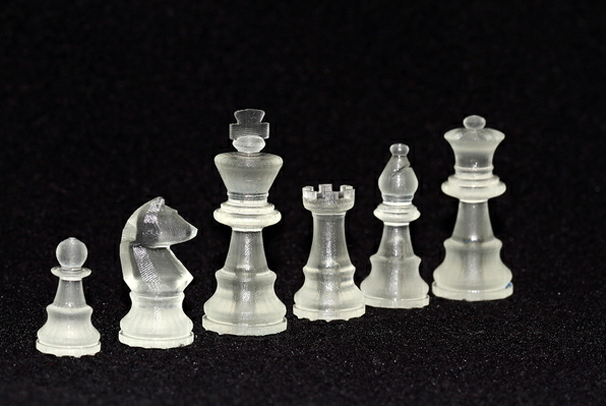 3D printers can create highly complex objects, but they’re often rough around the edges and have a limited resolution. If you want to print something that’s complex or tiny, or includes fine detail, you’re going to have to bump up the resolution on your 3D printer. MiiCraft, currently a project on Indiegogo (a site similar in nature to Kickstarter), aims to bring more affordable high-resolution 3D printers to it’s backers fully assembled. High-resolution 3D printers "print" by using a digital projector to shine light on a pool of special resin, which hardens under the light. This way, the printer can print more accurately than it would with a convention extrusion-based system. The resin that it uses comes in different colors and opacities, so you can print with more variety than conventional 3D printers. The MiiCraft isn’t a printer you would typically get if you were just getting into 3D printing, unless you got $1,200 to blow on a swanky gadget. If you’ve dabbled with 3D printing and want to get more accurate with your prints, though, this could be a cheap solution compared to other advanced 3D printers available.